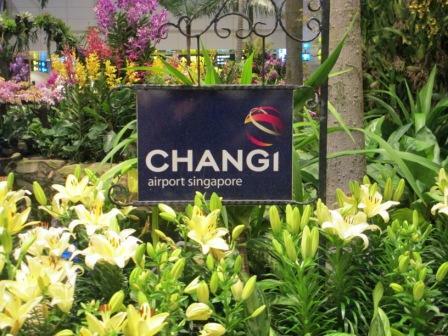 Having departed Melbourne at 1.05 a.m. Monday 22nd October (the Red-eye Special), our Singapore stopover gave us a couple of hours to wander around Changi airport. 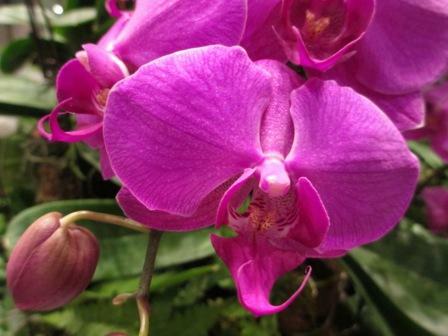 The highlight was a central display of beautiful orchids. Arriving at Terminal 3 from Melbourne, we then had to board the Sky Train which took us to Terminal 2 for our Silk Air flight. 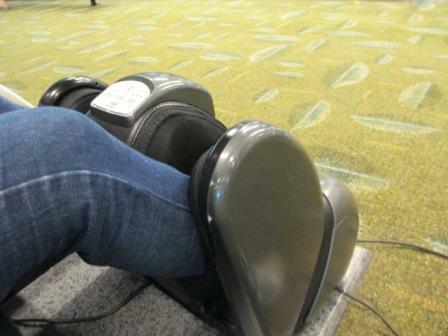 I spied a massage chairand, remembering the one from Hong Kong Airport last year, I wanted to utilise it. Happily, it turned out to be free and did a great job on my feet and legs. Lowlights were the lack of sleep and accompanying frayed nerve endings. It never ceases to amaze me the amount of time spent waiting when travelling. Travelling overnight has its own set of positive and negative aspects. You think it’s great saving a night’s accommodation, but by the time you get to your destination you are exhausted and cannot therefore truly appreciate the dawning of the new day. 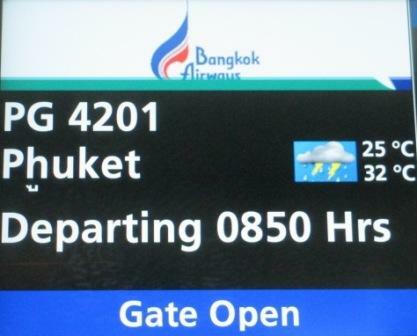 We made our way to Gate E11 for the Phuket leg of the trip. For the uninitiated, when you are looking for your flight on the departures board, just remember that they can sometimes appear with different flight numbers. 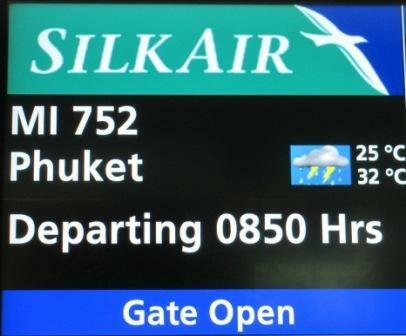 Take a look at the information provided for our flight to Phuket. Depending on which airline you have booked with, gives you different numbers. So it pays to wait a moment if you haven’t seen yours. Off we jetted on Flight MI 752 to arrive safely in Phuket, Thailand. 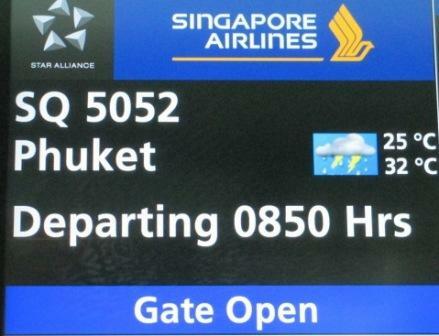 This entry was posted in Thailand, Travel and tagged airport, different flight numbers for same flight, flight numbers, massage chair, orchid display, plane travel, Singapore Changi Airport. Bookmark the permalink. 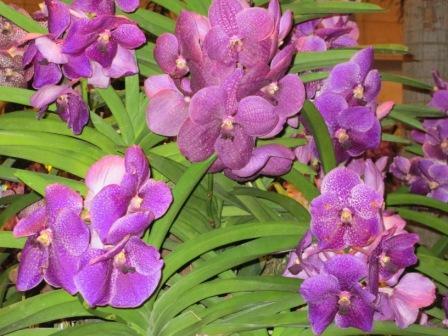 The orchids are gorgeous, and I would love that chair, massaging the legs at home, hmmmmmm, definitely worth looking into. Thanks, they were very pretty. Imagine how much a massager like that might cost!